In proximity to the significant Stan-Terg Pb-Zn mine. Alteration typical of epithermal (Au) systems identified. Anomalous Au and Ag associated with advanced argillic alteration zones. Zn, Ag and Cu anomalies associated with Fe-stockworks and gossans. 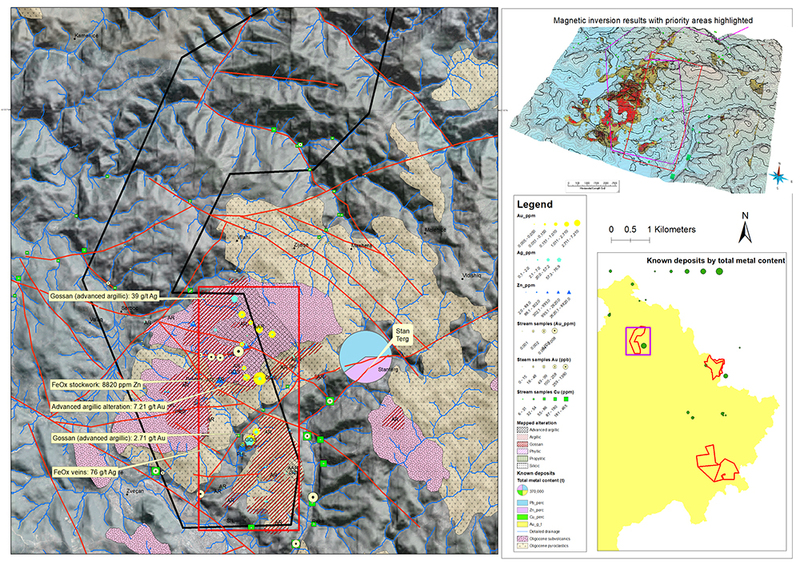 The Mitrovica license area is located immediately to the west and northwest of the Stan Terg Pb-Zn mine (>34 Mt at 3.45 % Pb, 2.30 % Zn and 80 g/t Ag), north of the town of Mitrovica and east of the Ibar River. On a regional scale, the area is located within the Late Alpine Tethyan Orogenic Belt and more specifically within the External Vardar Sub-zone of the Vardar Zone. The basement is comprised of ophiolites and a metasedimentary mélange affected by a polymetamorphic overprint (not exceeding greenschist facies conditions). A series of felsic to intermediate sub-volcanic and pyroclastic rocks of Oligocene to Early Miocene age represents the cover sequence. 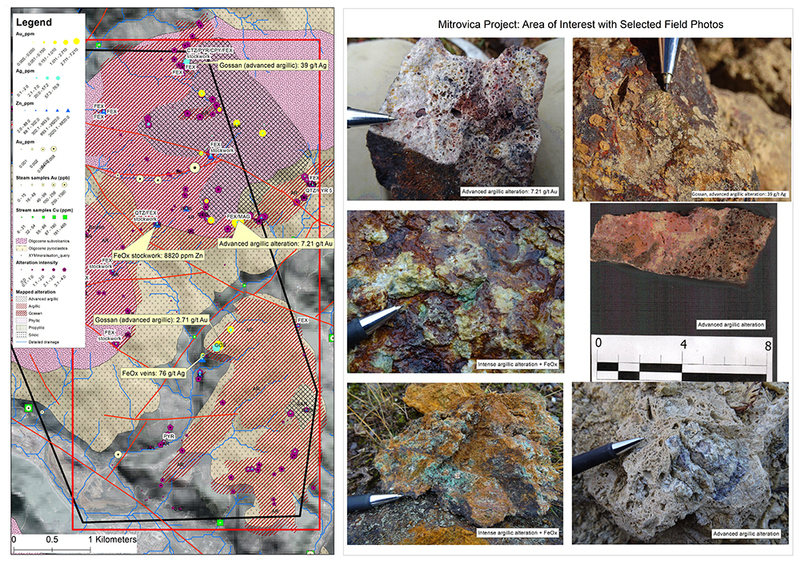 Field mapping has identified a relatively large area of argillic alteration of varying intensities in the southern part of the license with several smaller centres of advanced argillic alteration along with Fe-stockworks, hydrothermal breccias and gossans. 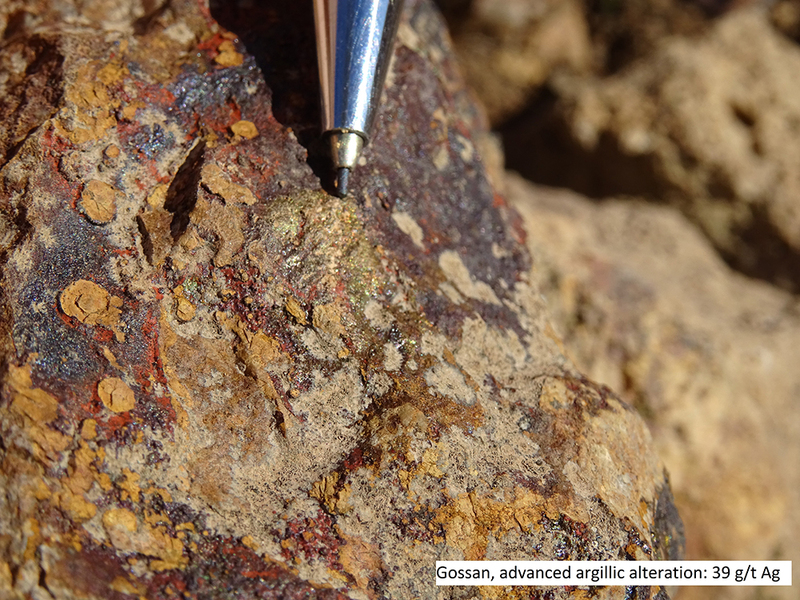 High gold values are reported in several samples of advanced argillic alteration (including returns of over 7 g/t Au and 76 g/t Ag) with anomalous Zn, Pb, Cu and Ag recorded in gossans and Fe-stockworks. 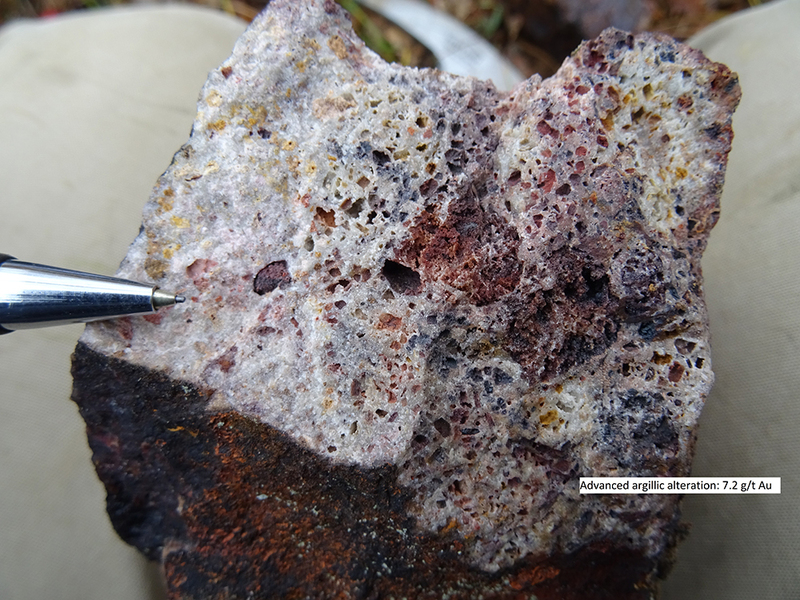 The project is prospective for both high sulphidation Au mineralisation and vein/replacement related base metal targets.